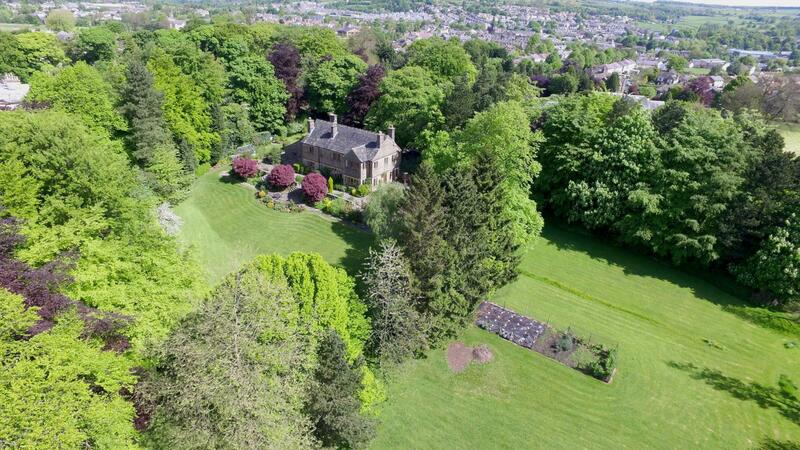 A palacious substantial magnificent stately family home, offering an abundance of splendour and elegance throughout with an abundance of original character features set in A rural private location. 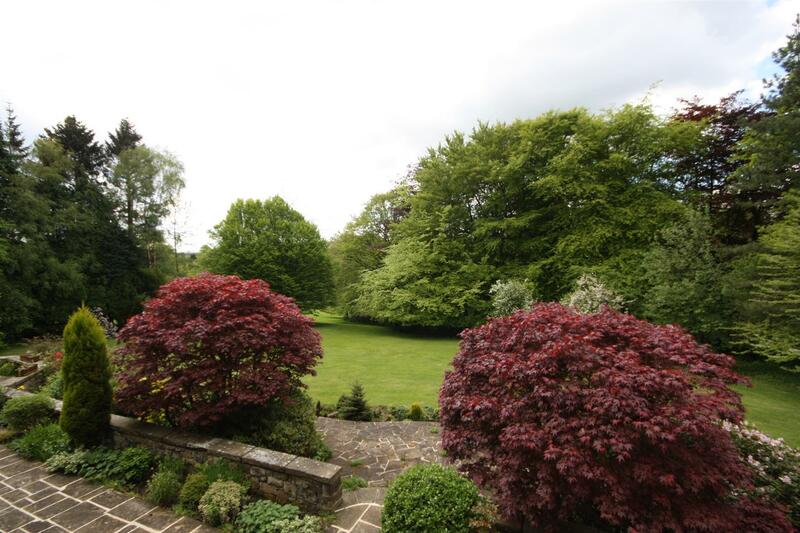 Set within 4.5 acres of gardens and woodland. 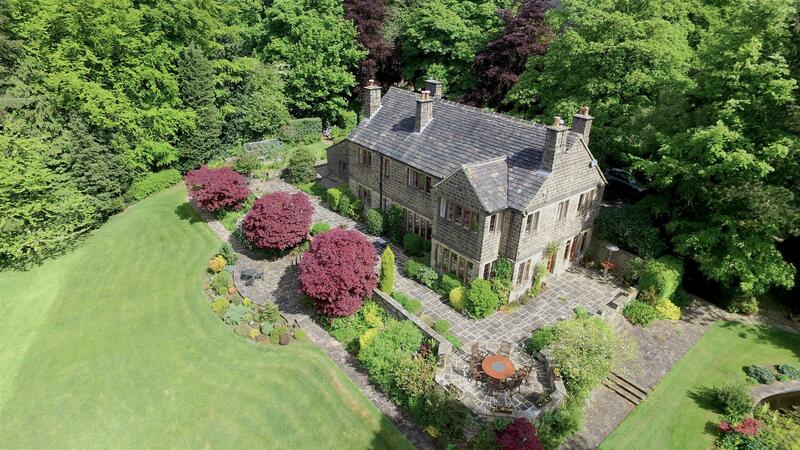 We are delighted to offer this rare opportunity to the discerning purchaser! 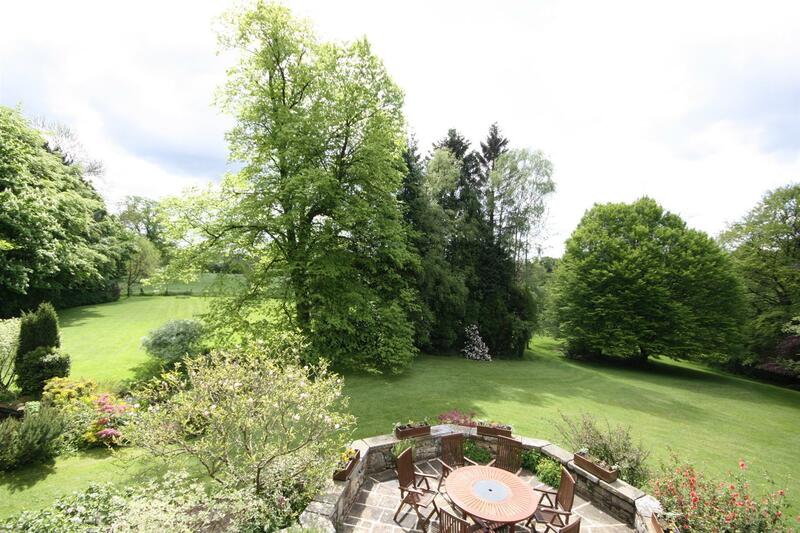 A wonderful family home with character, space and flexibility id set within approximately four acres of landscaped and well tended grounds which include woodland, gardens, ornamental ponds, trees, water features, family terraces and patios, and not forgetting a rotating summer house! Offering excellent privacy in such a tranquil and peaceful setting accessed via a private road which leads to electronic iron gates with security cameras and intercom system. 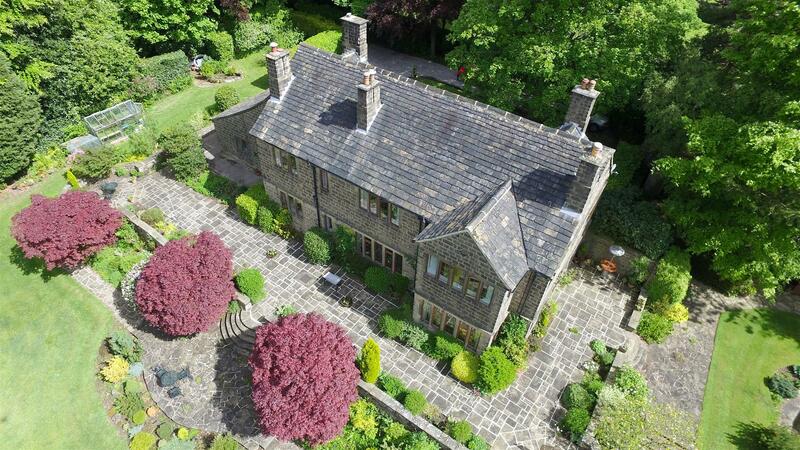 Guiseley is an extremely sought after, semi rural town with an abundance of amenities, highly regarded schools and with excellent transport links to Leeds, Bradford, Harrogate and York. 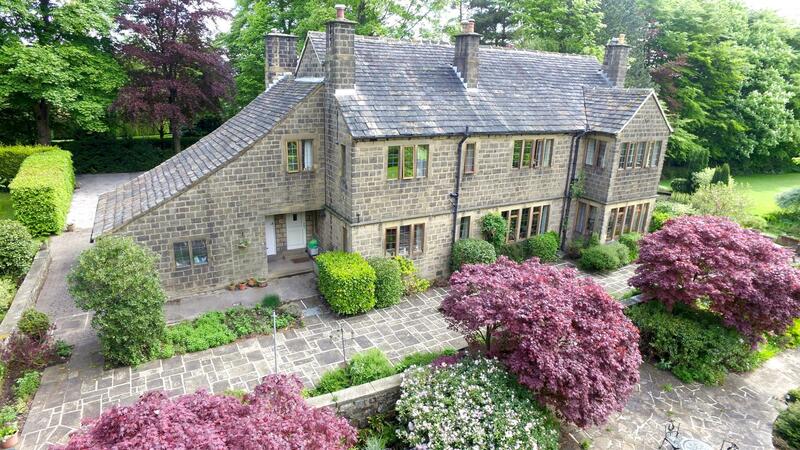 Guiseley train station is close by and the Leeds Bradford International Airport is a short drive away. 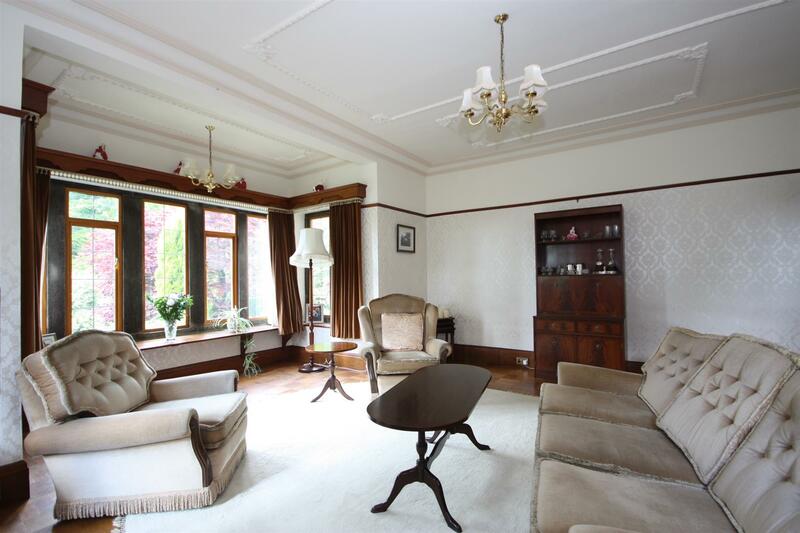 This magnificent family home boasts delightful period and character features including stone mullioned windows, English oak panelling, entrance door, staircase, pelmets, exposed beams and solid oak flooring. 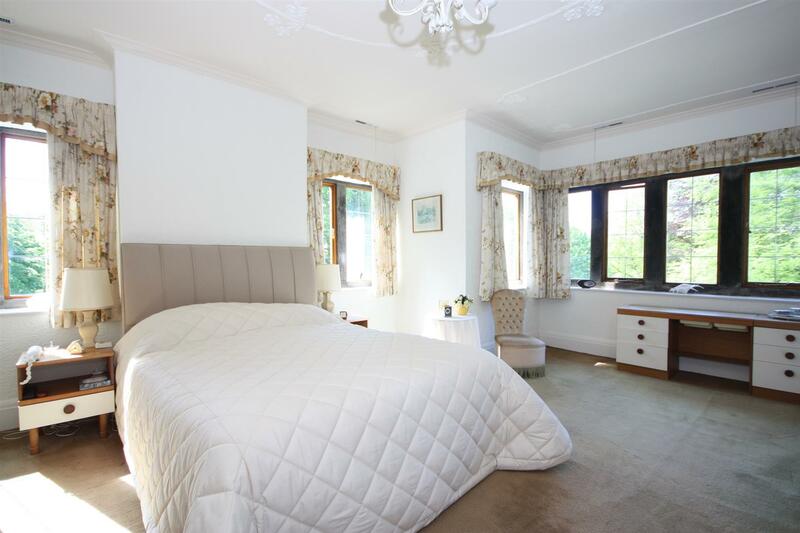 Offering six bedrooms, two ensuite shower rooms, luxurious house bathroom, large study and three reception rooms, early viewing is a must to appreciate the luxury and quality on offer as well as the wonderful setting! Comprises, to the ground floor, an entrance vestibule with stone flagged floor, a grand entrance hall offering an impressive first impression with original oak staircase to first floor and under-stair wine storage, a cloakroom, two piece guest WC which is fully tiled, delightful snug with oak multi panelled glass doors giving access to the rear elevation, dual aspect to side and rear elevations and a stunning sandstone fire surround, generous formal dining room with bespoke oak fire surround and Italian marble back and hearth and a spacious lounge with a feature fireplace (which is a copy of the main fireplace in Hadden Hall, Derbyshire) and access to the terrace through an oak multi panelled glass door. 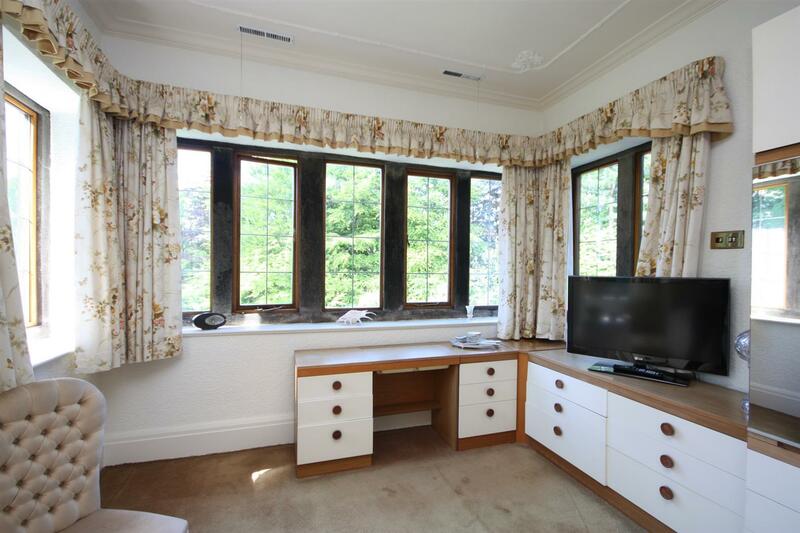 This is a wonderful light and airy room with a large bay window and seat. 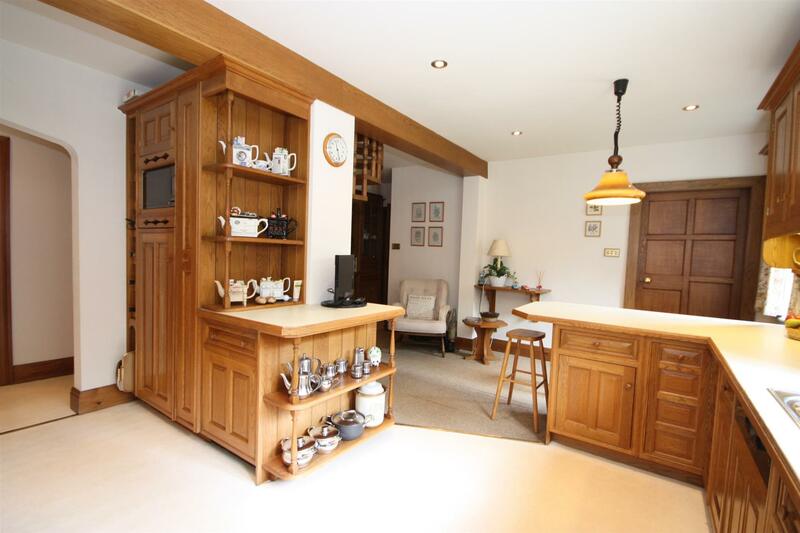 The breakfast kitchen has a range of handmade English oak kitchen units, display cabinets, a breakfast bar and integrated appliances as well as a gas Aga oven with specially designed canopy. There is a useful pantry off the kitchen and a laundry room. 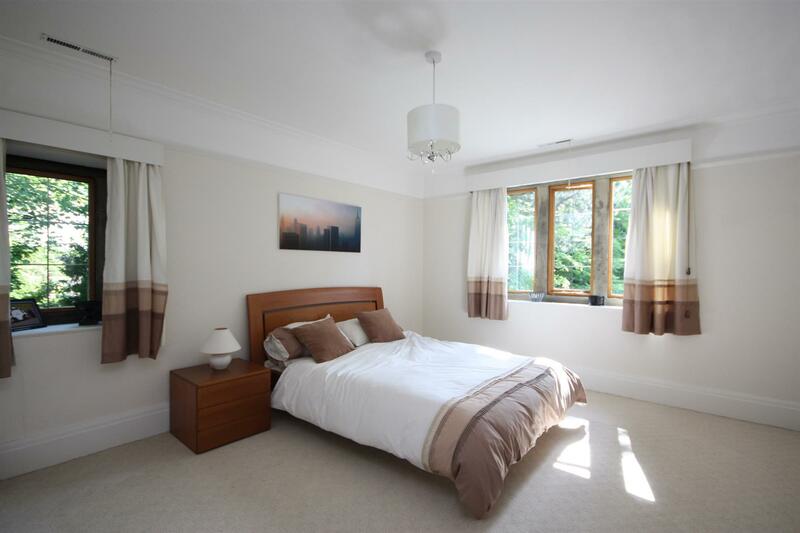 To the first floor, the master bedroom is a superb size and has an ensuite, fully tiled bath room attached. 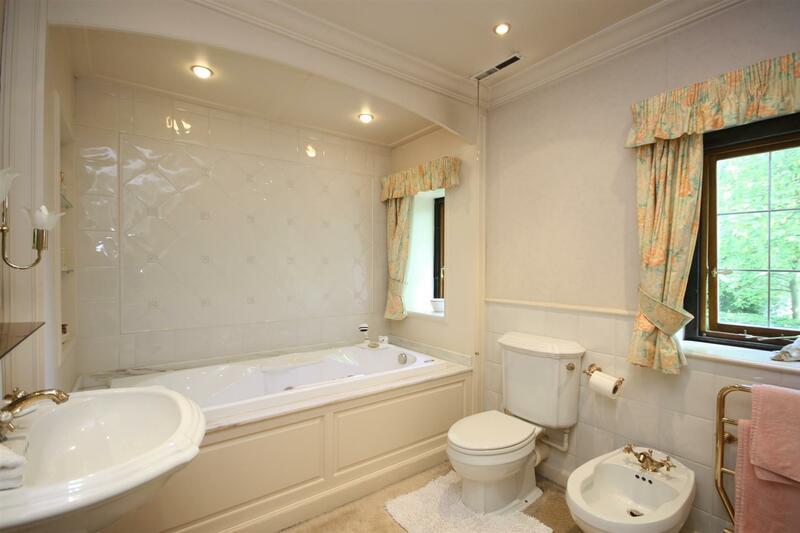 There are also an ensuite shower room to the second bedroom and the luxurious house bathroom includes a Jacuzzi bath with waterfall style tap with hand shower. 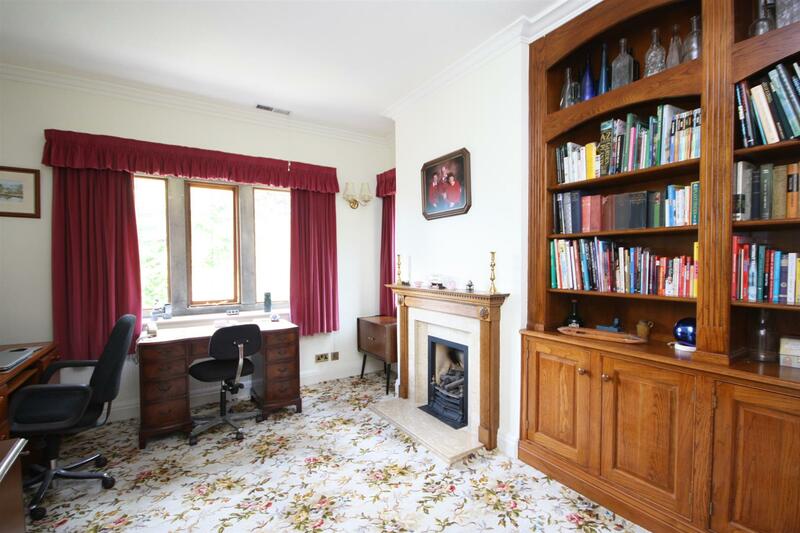 One of the bedrooms is currently used as a study with solid oak built in shelving and lovely views over the gardens. 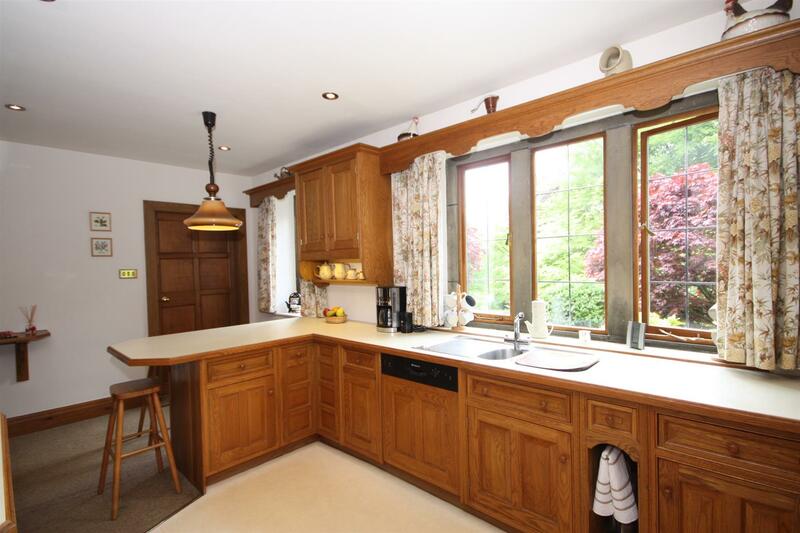 The property has a large turning circular driveway with centre island and provides ample parking and leads to a double and further single garage. 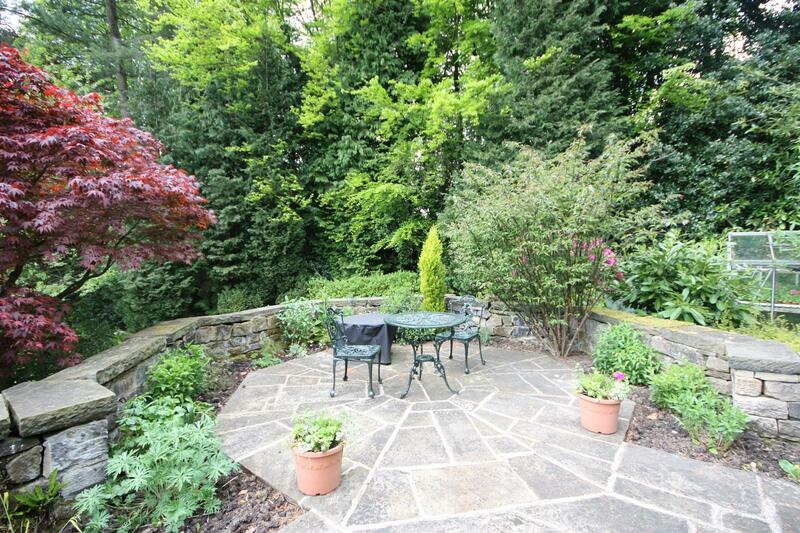 This is a very desirable residential area and is close to good local amenities. 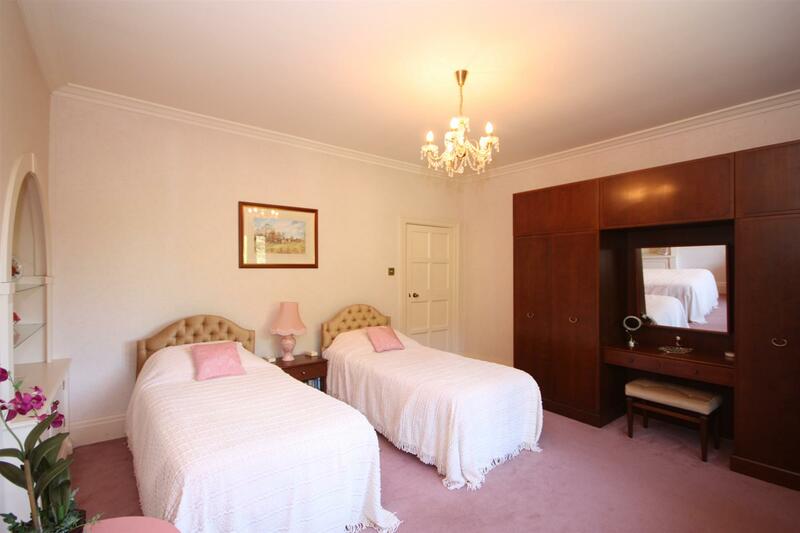 There are many facilities available in the town including an excellent range of shops, supermarkets and banks etc. Guiseley offers a choice of restaurants, eateries and pubs, which cater for all tastes and age groups. 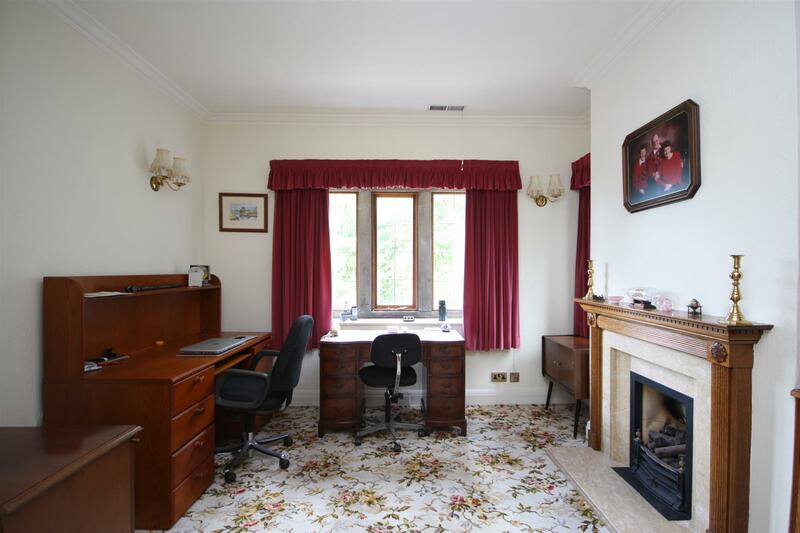 The schools in the area all have good academic reputations and are easily accessible from this property. Guiseley Train Station provides fast, frequent and reliable services to Leeds, Bradford and Ilkley. There are main road connections to the commercial centres of Leeds, Bradford and Harrogate and easy access to the motorway system. Leeds Bradford International Airport is a short drive away. 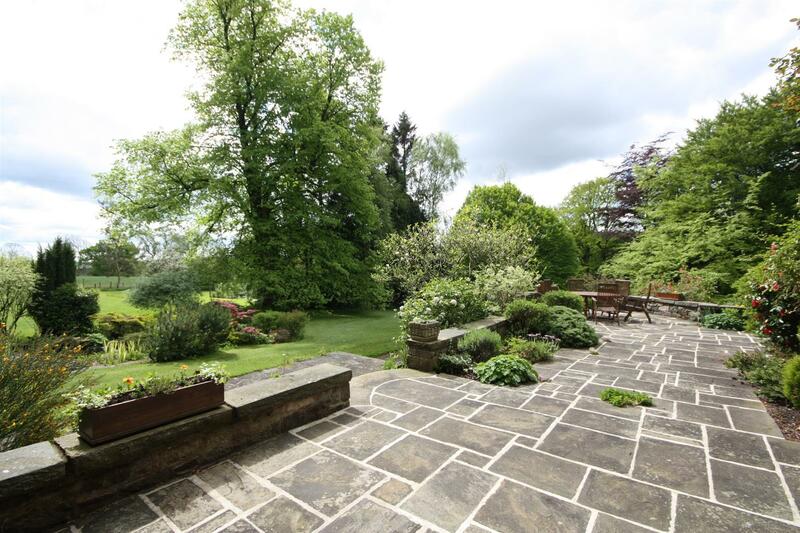 The nearby A65 provides easy access to the Dales and the Lake District. With a real feeling of grandeur! 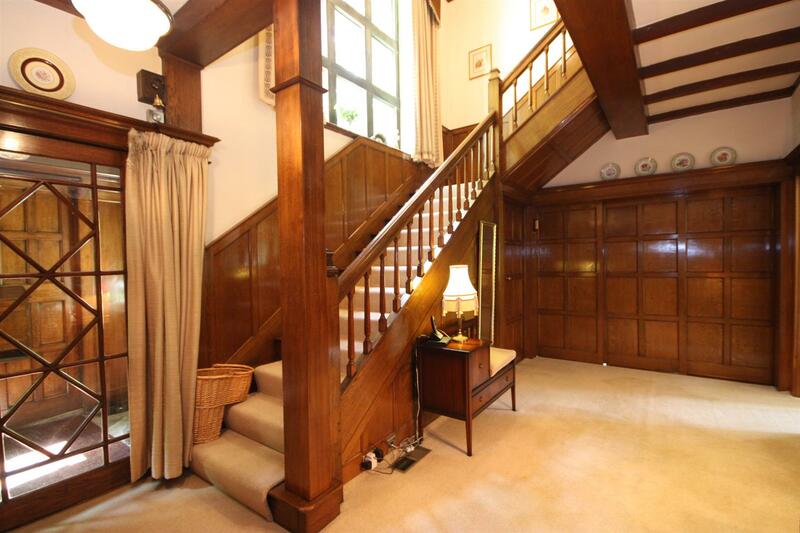 Original oak staircase to first floor, solid oak panelled walls, picture rail and access to understair wine store. Perfect for coats, shoes, etc with a double glazed window to the front. 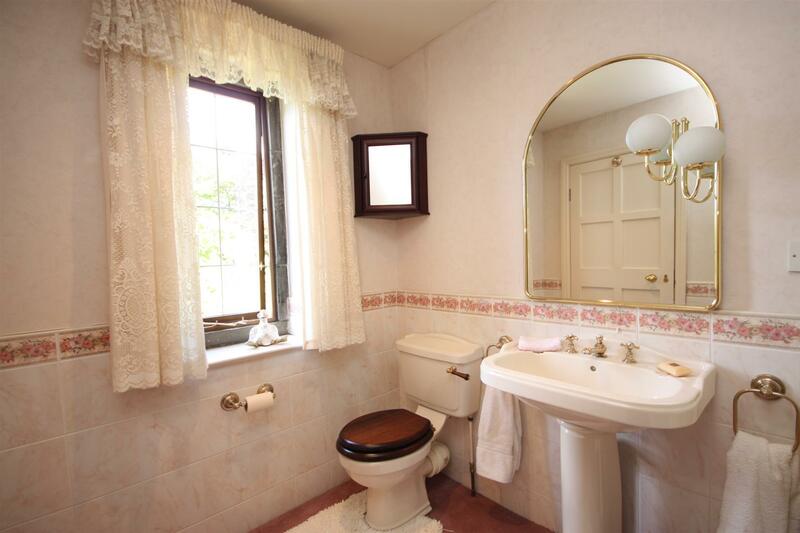 Comprising of a low flush WC and wash hand basin. Fully tiled walls and floor and double glazed window to the front. With oak multi panelled glass door to the rear elevation, windows to the side and rear with stone mullions, allowing in lots of natural light, solid oak flooring and exposed beams. Feature sandstone fire surround, picture rail and window seat. 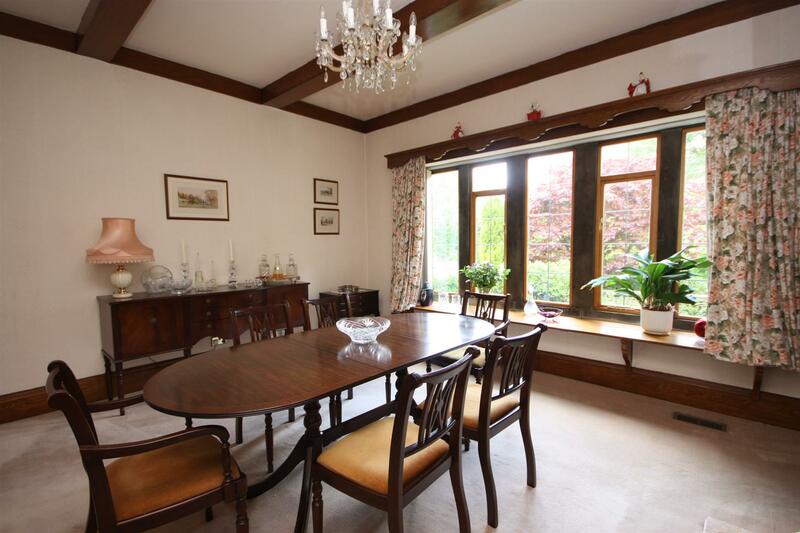 Solid oak exposed beams, skirtings, pelmets and a window seat. Feature bespoke oak fire surround with Italian marble back and hearth. 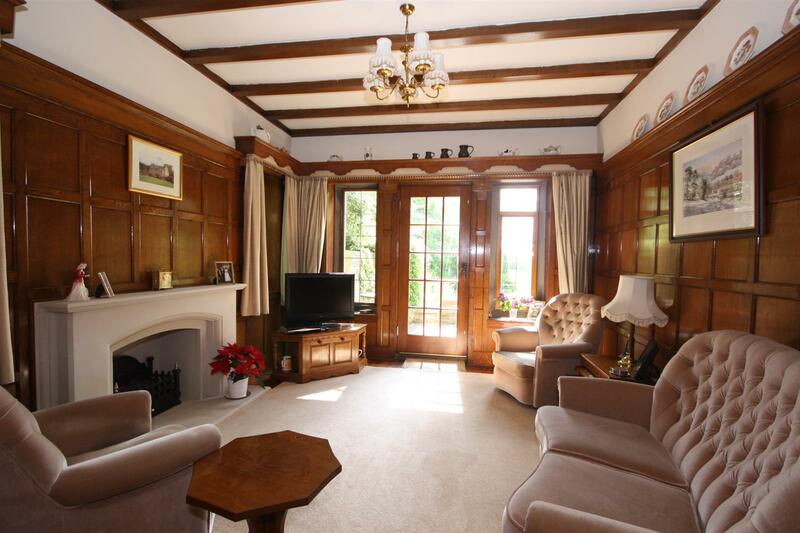 The lounge is accessed via a unique style door with solid oak to the hall side and solid walnut to the lounge! Solid wood flooring and bespoke design to ceiling. 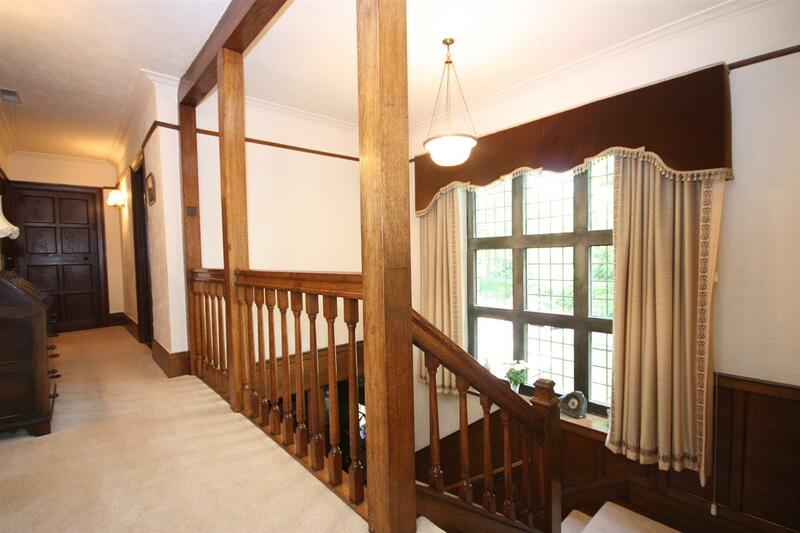 Access to outside terrace through an oak multi panelled glass door. Feature dado rail and large bay window with seat. 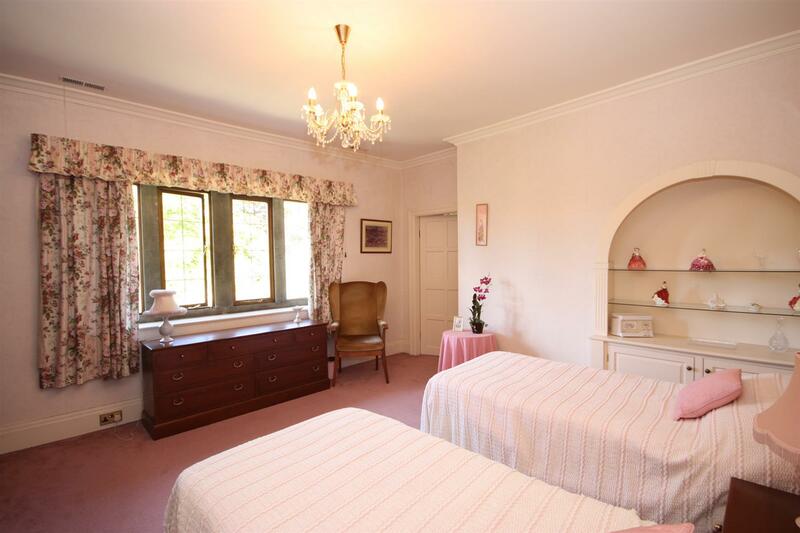 A lovely bright and airy room. A bespoke range of handmade English oak fitted units and display cabinets. 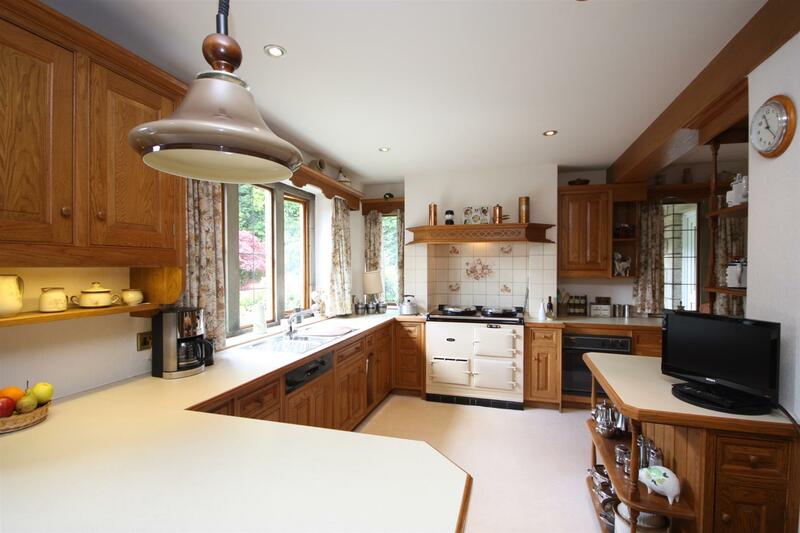 Complementary worksurfaces, breakfast bar and feature Aga gas oven with canopy over. Integrated electric oven, microwave, fridge, freezer and dishwasher. 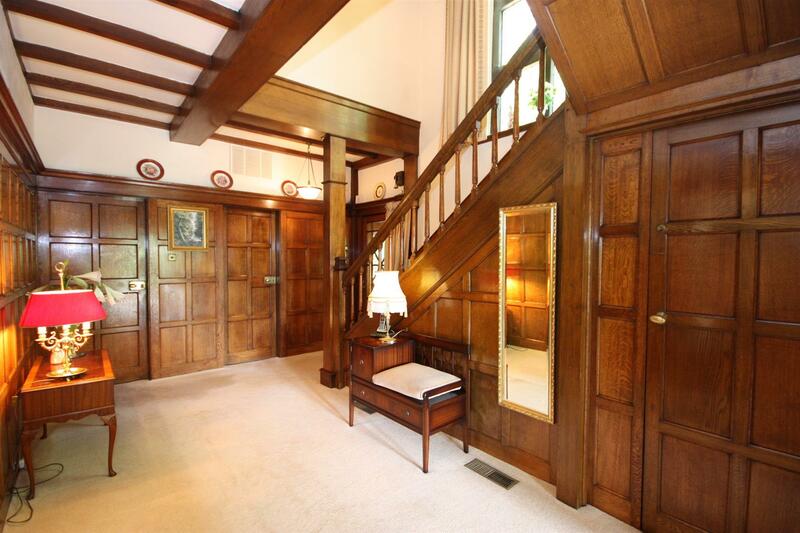 Inset spotlighting and a hardwood spiral staircase leads up to the first floor. One and a half bowl stainless steel sink and side drainer with modern mixer tap. Dual aspect to rear and side elevations. 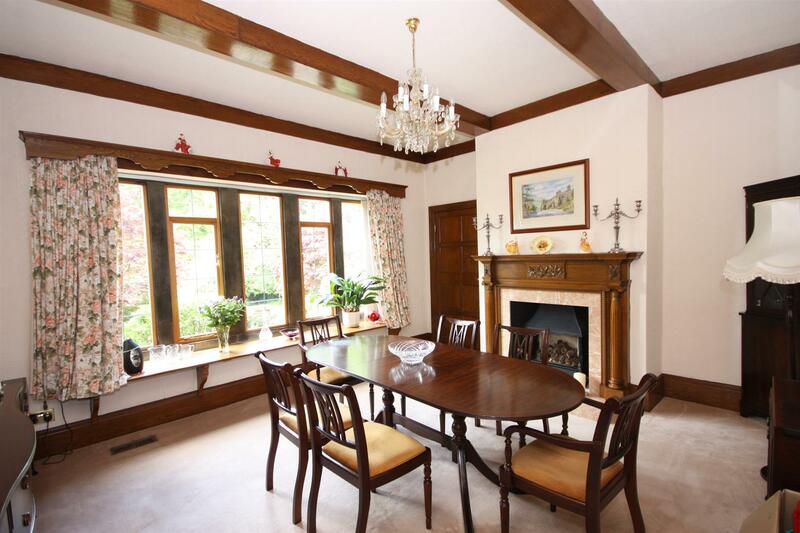 Fantastic for day to day living with more formal dining in the dining room. A really useful storage area for the kitchen with three shelves and a cupboard. With a range of fitted units, plumbing for a washing machine and a sink unit. Oak panelled walls, exposed beams, picture rail and leaded window to the front with stone mullions and linen storage cupboard. 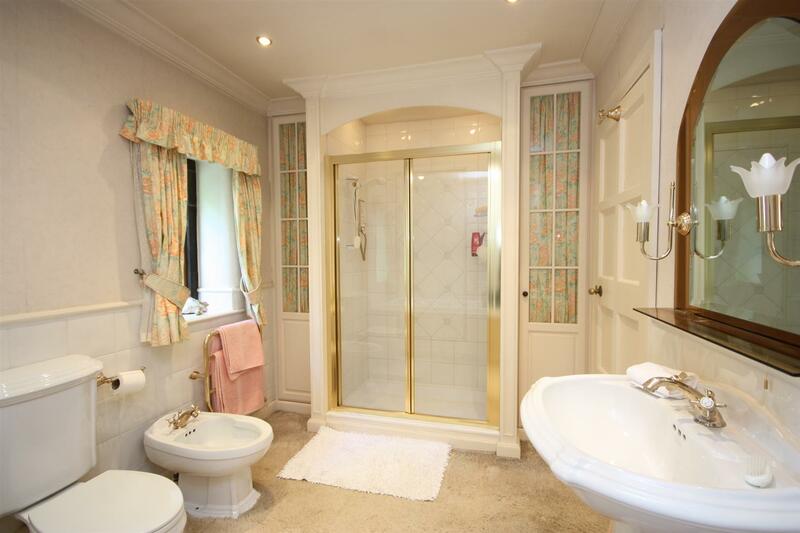 Comprising of three piece suite including a double shower cubicle, wash hand basin and low flush WC. Fully tiled walls. 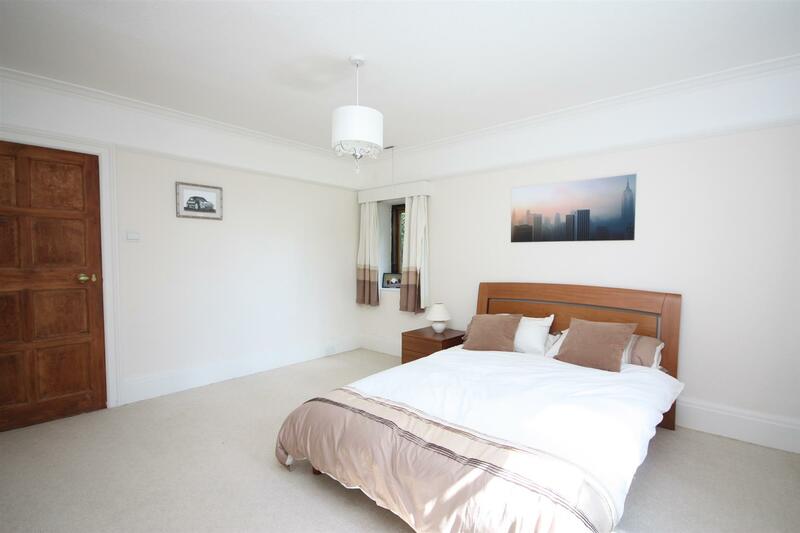 Good size double bedroom with fitted bedroom furniture and dual aspect stone mullioned, double glazed windows to the front and side. 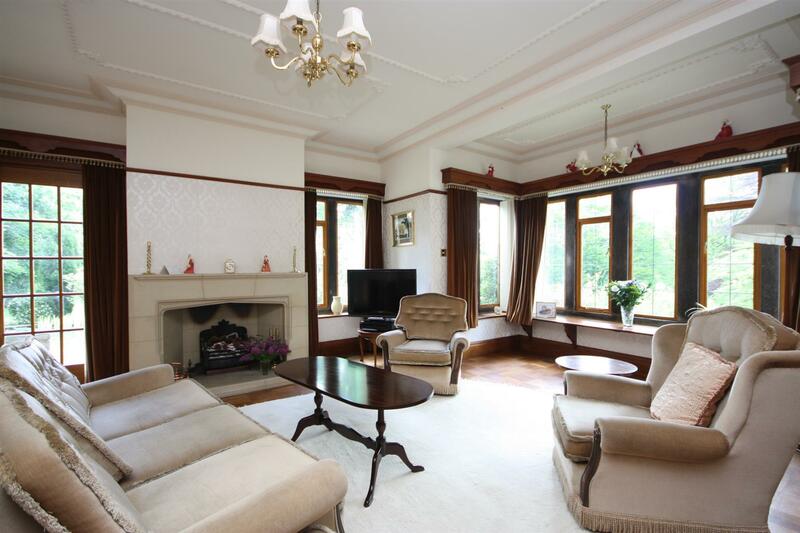 Generous size double with stone mullioned double glazed window to the rear elevation. 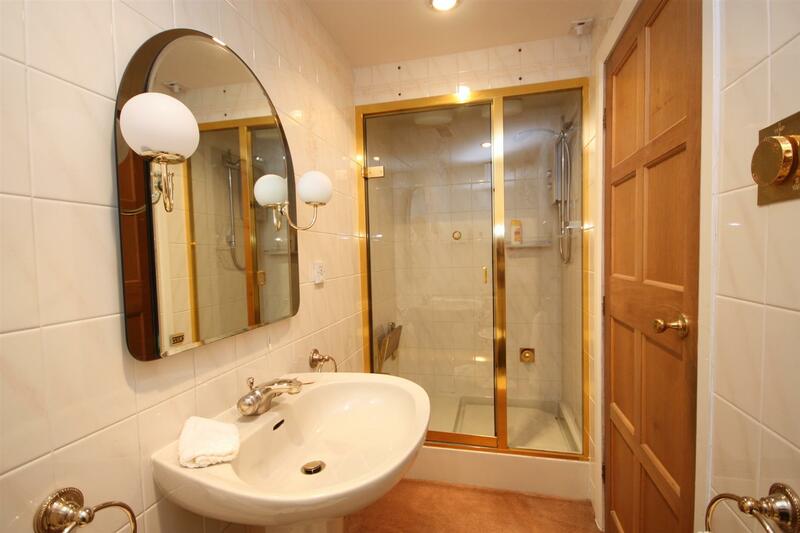 Comprising of low flush WC, wash hand basin and corner bath. 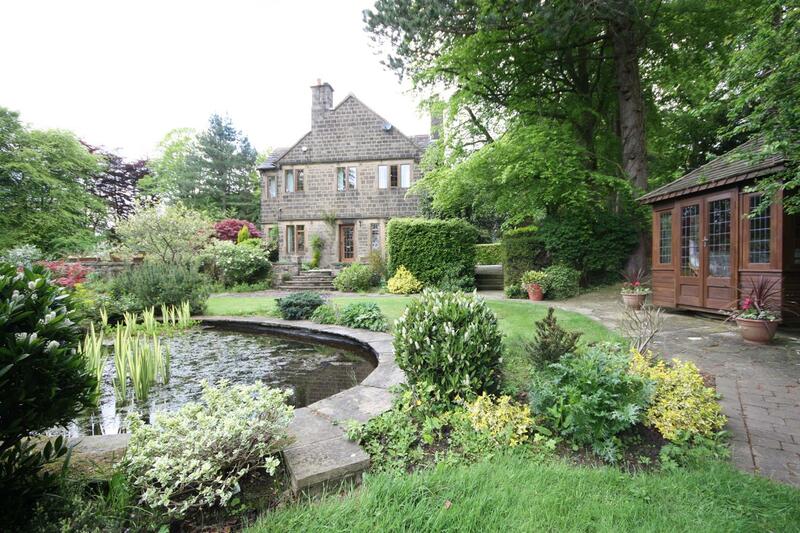 With a stone mullioned double glazed window to the front elevation and offering useful eaves storage. 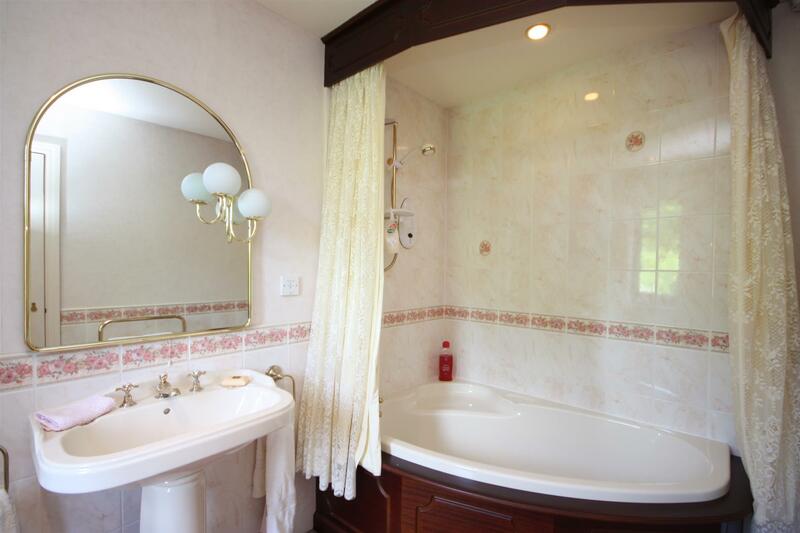 Spacious and luxurious house bathroom with low flush WC, wash hand basin with lighted mirror, bidet, Jacuzzi bath with waterfall style tap with hand shower and a large double tiled shower cubicle. 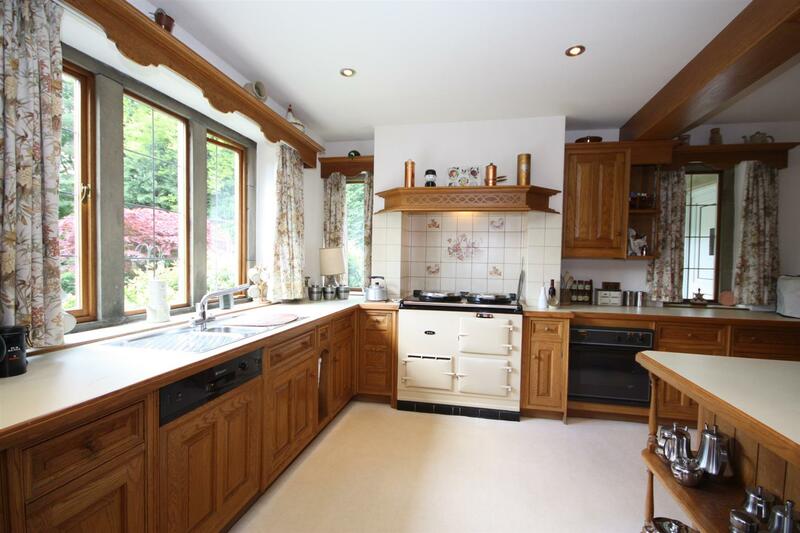 Useful fitted cupboards and a double glazed window to the front. 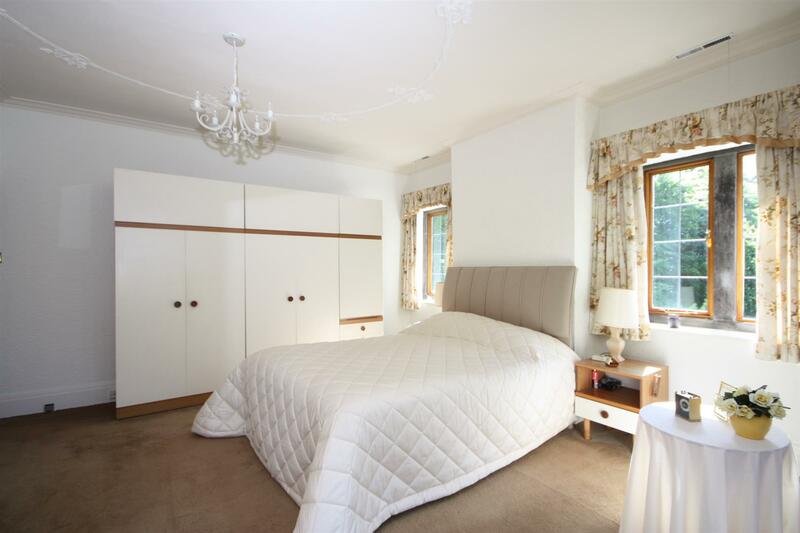 A great size, versatile space with dual aspect stone mullioned, double glazed windows to rear and side and bespoke fitted shelving with lighting and cupboard. Gas log effect fire. 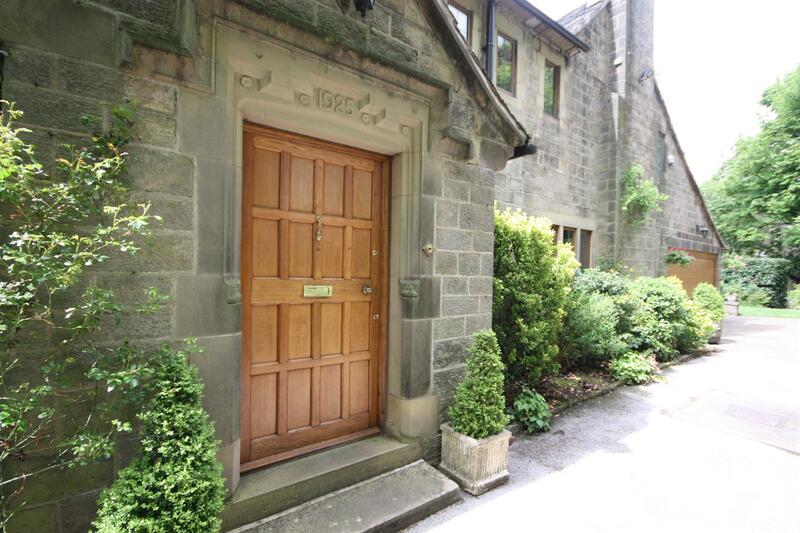 Useful storage cupboard and a stone mullioned, double glazed window to the rear elevation. Superb space extending over the garage with double glazed leaded window to the front and offering useful eaves storage. Park Gate can be accessed via a private road which leads to attractive electronic wrought iron gates with security cameras and intercom system. 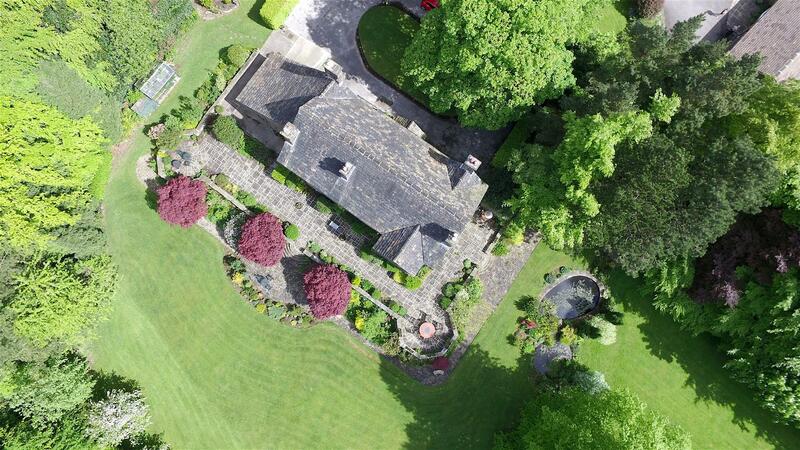 A large circular turning driveway with central island provides extensive parking and leads to a double garage and further single garage. 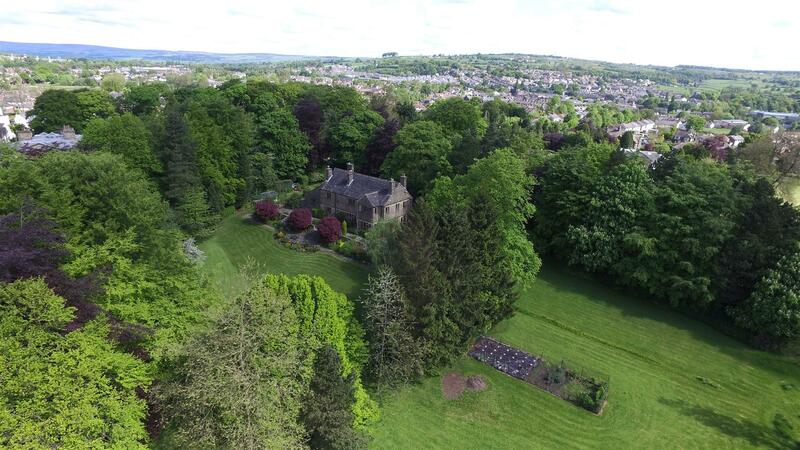 Set in approximately four and a half acres of stunning grounds including woodland, parkland gardens with terraces, patios, water features and two ponds. A real feature is a rotating summer house! 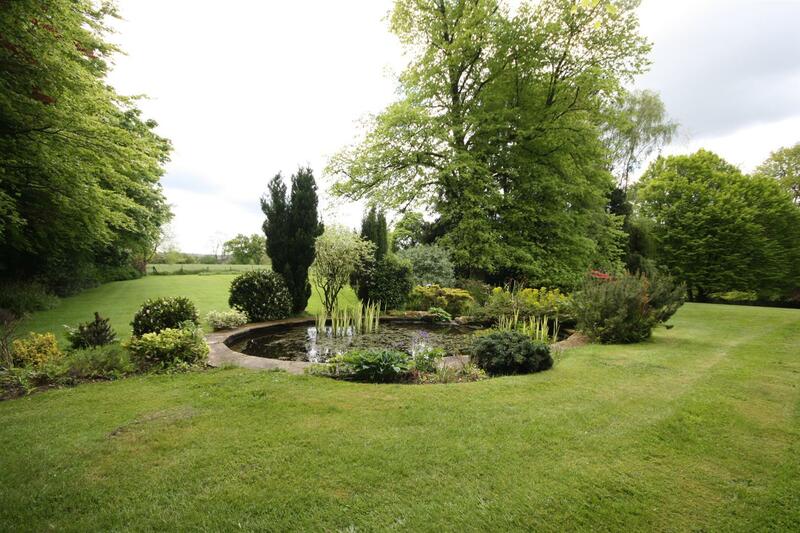 Situated in this semi rural location there are farmland views, well stocked flowerbeds, shrubs, trees and stunning wildlife on your doorstep! 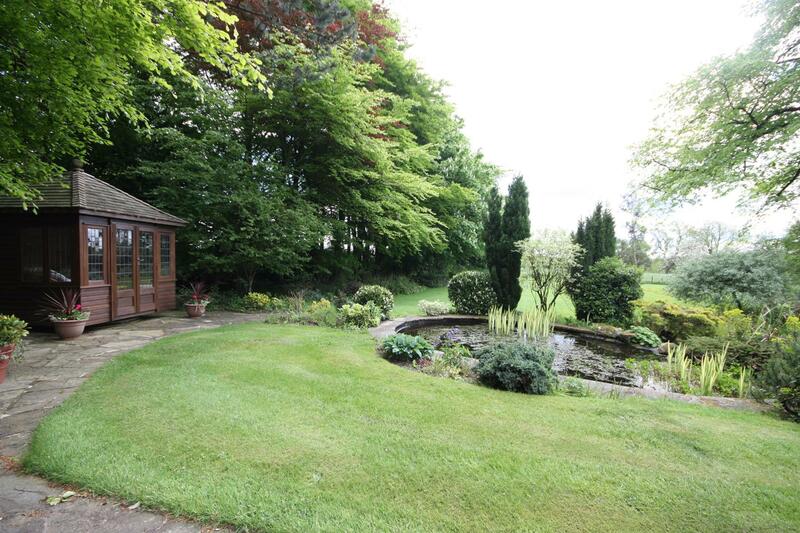 Offering fantastic privacy, in such a tranquil setting - perfect for the family and friends to escape and relax! (Boiler house and store room with workshop).